Our furniture design studio originated with the renovation and restoration of century-old railway lines. We employ techniques and methods developed over 100 years ago for the railroad adding modern equipment and technology mainly to improve quality and safety. Still, it remains dangerous work, and rigorous safety practices are always enforced. Tracks are never safe - even to walk on. We can only build our unique designs because of Railroad Services, our rail maintenance, and construction business. Removal of railroad track requires proper licensing and insurance. Railroad work remains extremely hazardous for the untrained. As a professional contractor with a specialized license in railroads, we stand proud of our safety record. So enjoy our design ideas and custom furniture, but please stay away from railbeds. Watch the video at the bottom of this page for more on what NOT to do. Here is a simple look at how we do it. Sustainability and railroading go hand in hand. Reclaimed from one project, rail and plates are indefinitely reusable unless they have been overly worn, damaged or fail to otherwise meet modern specifications. 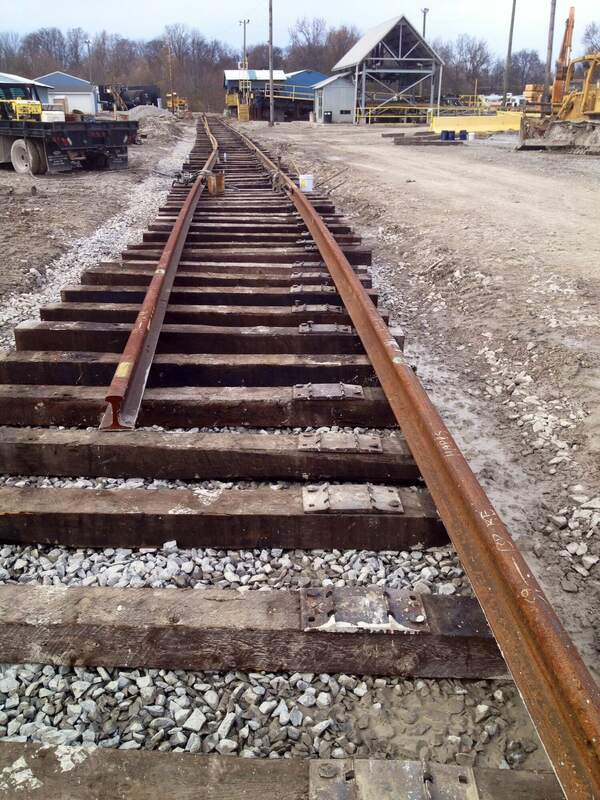 We harvest rail during the regular course of our railroad construction and maintenance business. As we remove vintage rail and replace it with new modern steel, we select the most unique artifacts to be crafted into our furniture. Rich in history, but beyond a usable service life on the railways, the reclaimed materials we use transported cargo and people from one coast to another. But we give it a second life. Only well-trained professionals work our crews - and it takes their special eye to identify what rail will make amazing furniture. We preserve the rails with the most interesting and documentable history behind them. A signed certificate of authenticity accompanies each piece of furniture we create allowing us to convey the provenance and making our clients curators of these Industrial Age artifacts. Selecting details for each project and drawing out the natural beauty in each piece takes time. It requires a master craftsman's eye to get it just right. The rich dark patina on our steel comes from years of exposure to weather and natural elements. The original composition and methods of production for the steel create subtle variations, and the exact location drives even more diversity. As a result, each piece is like art and individually unique. Your selection will have a story - special to it, and we include that history along with a signed certificate of authenticity with every piece. 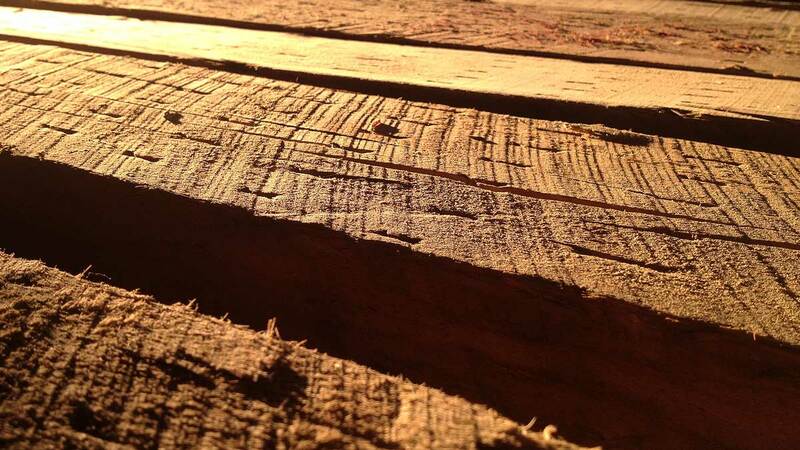 We use naturally creosote-free wood untainted by creosote or any other chemicals. The timbers we use get singled out as seconds at the tie plant, timber that won't make the grade to become crossties due to imperfections. As a result, we get wood with a combination of live edge feel and rough-hewn fresh from the sawmill characteristics. We take those features and incorporate them into our designs to add to the uniqueness of each piece. Those knots and beautiful twist in the grain add a naturally organic quality to our work. Until the late 1960s, each cross tie had a small "date nail" hammered into it designating the year of manufacture. We obtain those artifacts scavenged from when the track was originally installed. 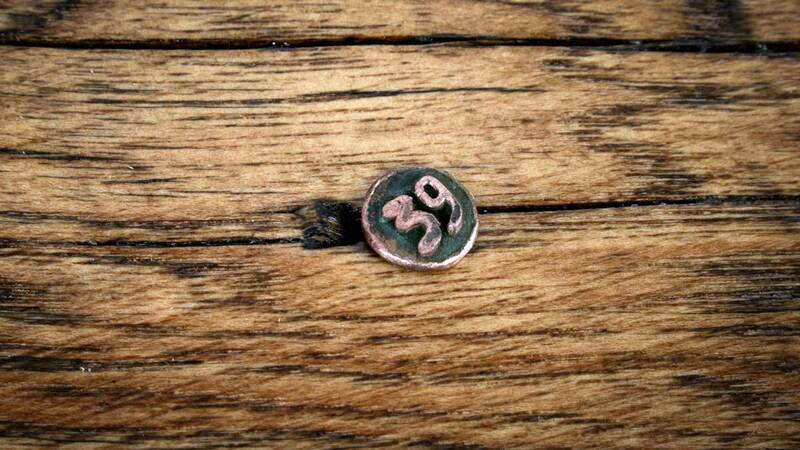 Dating back to 1900, we use one of those nails in each piece we create. Collectors buy and trade date nails. We share them in our work. Our crews are always looking for them and take great care in pulling them correctly so they can enhance our custom furniture. Founder Robert Hendrick designs each piece of furniture and art. From concept to sketch to engineering and production, his mark is on every item in our collection. With degrees in Industrial Design from Auburn University and an MFA in Industrial Design from The Ohio State University, his goal is a well-designed product from the start of the process through the end. Focused on sustainability and environmental responsibility, the modern sleek and clean lines must be aesthetically pleasing as well. To make them user-friendly, we ensure that each table or other piece of furniture is easy to assemble, as well as simple to ship. Our furniture and art represent a slice of Americana that we ship across the country and worldwide to Canada, Germany, the UK and countless other destinations. The great industrial cities of Pittsburgh, Birmingham, Chicago, Kansas City, and St. Louis are familiar homes to our pieces. Our work graces the homes and offices of metropolitan areas rich in rail history like New York, San Francisco, Chicago, Los Angeles and Atlanta. Large-scale projects have taken us to the West and Southwest in places like Denver, Phoenix, Scottsdale, Salt Lake City, Park City, Jackson Hole, Dallas, and Houston. So we take the extra time to be certain each piece can be easily assembled and disassembled to make them transportable. Shipping is included in Continental US. We deliver and set up all furniture you purchase; we remove the crate and all the packing material before we leave. No mess, no clean up - just a beautiful addition to your room that will be enjoyed for years to come. Traditional railroad building techniques are used in unconventional ways to respect the authenticity of each piece we create. Here Chris Carter, Design Studio Manager, and Chief Builder demonstrates the years of experience required before anyone can do what he makes look easy. (click image to view & info). Final assembly includes white glove Installation. Notice that no tools were needed and each piece fits precisely. Our installers also remove all packing materials leaving you with a perfect presentation. Time to invite your friends over for a drink and to show them your table. Not our crew but it shows you what can happen. We make it look easy, but there is a lot that goes into what we do - and creating exception custom furniture for you.